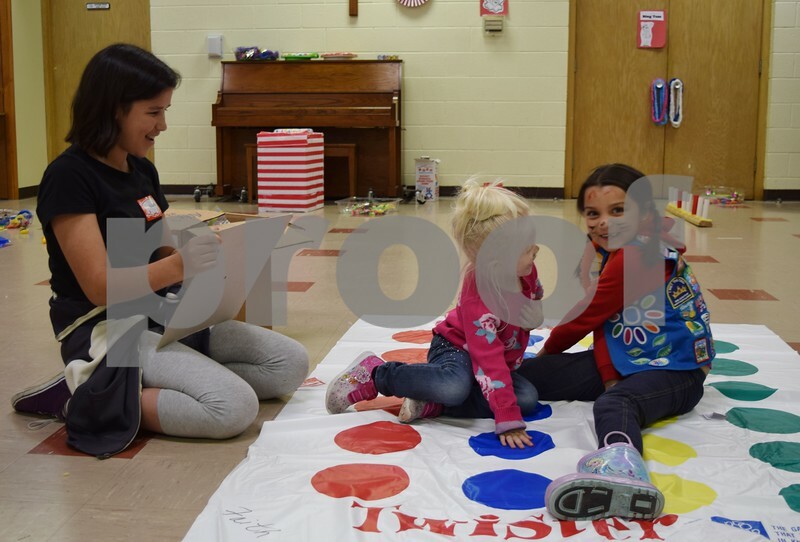 Children played games on Saturday during the free children's carnival hosted by Girl Scout Troop 1058 at First Lutheran Church in DeKalb. In lieu of an entrance fee, the troop collected fleece items to help rural villagers in Madagascar. Pictured (from left) are 12-year-old Laura Young, 3-year-old Ella Mayne and 6-year-old Daisy Olivia Fierros, all from DeKalb.